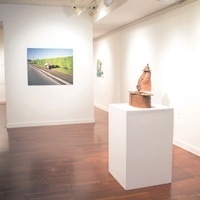 Juried and selected by local art professionals, this exhibition presents the top works submitted by nearly 100 FAU students majoring both in and outside of the Department of Visual Arts and Art History. Produced and organized by FAU students for FAU students, the resulting exhibition presents a diverse spectrum of the creative and artistic talents of FAU’s current students. The exhibition is produced by the University Galleries, FAU in association with FAU’s Department of Visual Arts and Art History.